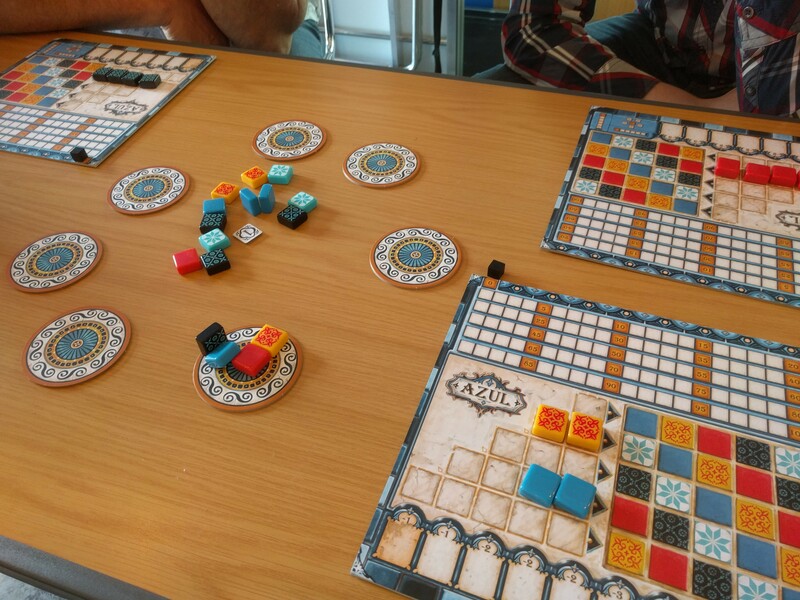 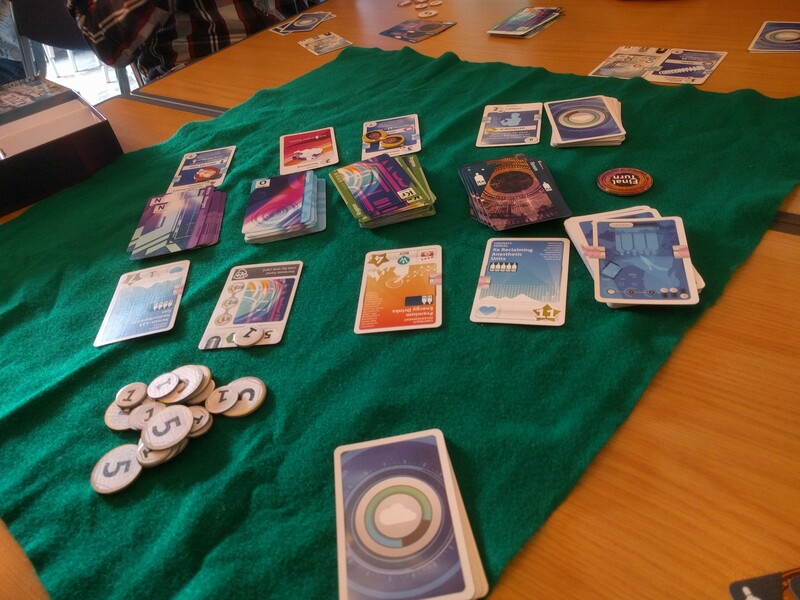 First game of the day was Azul, at which I did quite remarkably badly… but still had fun. This still isn't going to make it onto my shelf soon (I prefer the gameplay of Sagrada and they're pretty similar in some respects) but I'll play it when someone else wants to. 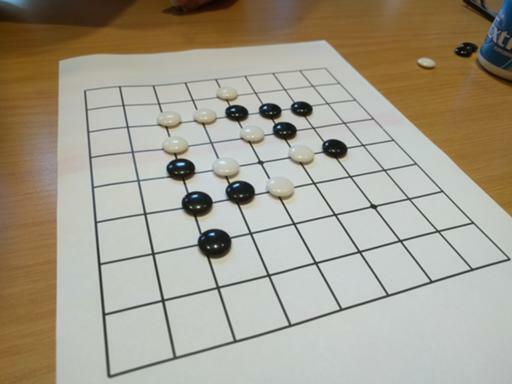 While waiting for the next game to be set up, I played a cut-down version of Go (which counts for my "black and white game" in the 52 Game Challenge this year). 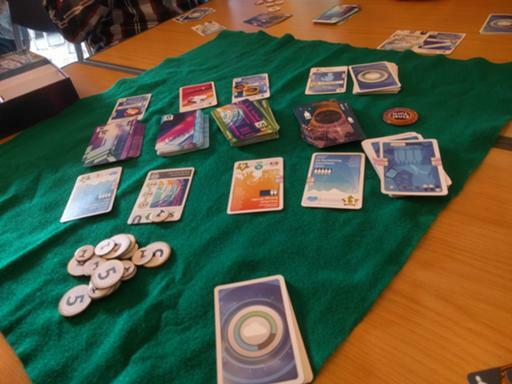 I can see how one could easily dedicate one's life to this; as a gamer who likes variety, there's no way I'm going to spend the time to go deep enough into the play to become competent. 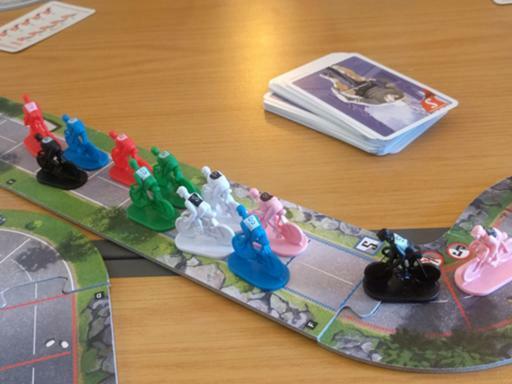 Flamme Rouge next, with the six-player expansion, but no three-lane sections, which may have been an error; there was quite a bit of blocking, and very little drafting, which is normally one of the important parts of the game. Still enjoyable, and one of my riders kept up with the leaders and took third place. 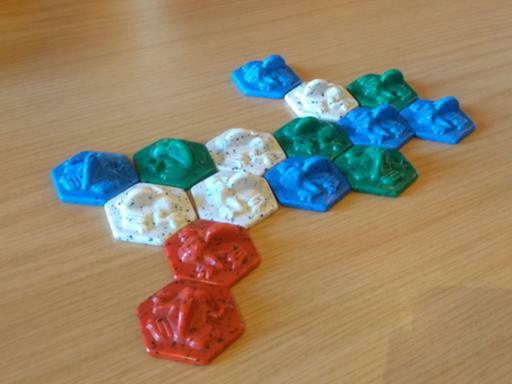 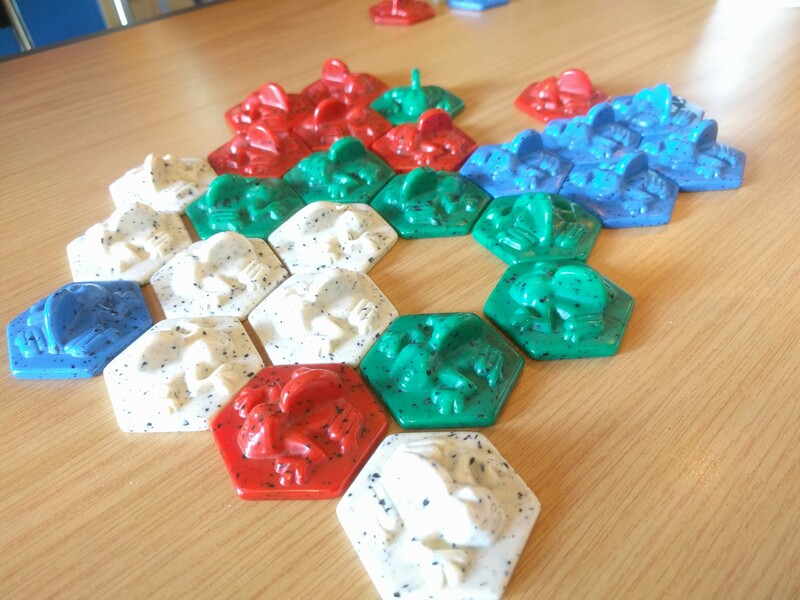 Army of Frogs (by John Yianni, creator of Hive): as with that game, you build and modify the board as you play, but there aren't all the separate piece moves to remember. It does have the problem as a game for more than two players that one's likely to be forced into kingmaking at some stage. 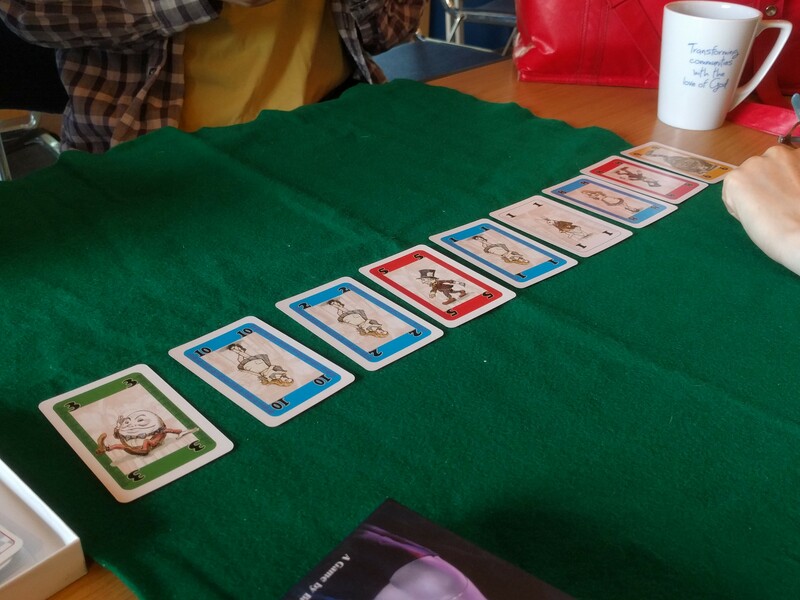 Parade, where I thought I was doing well, but this was the first time I've lost this game. 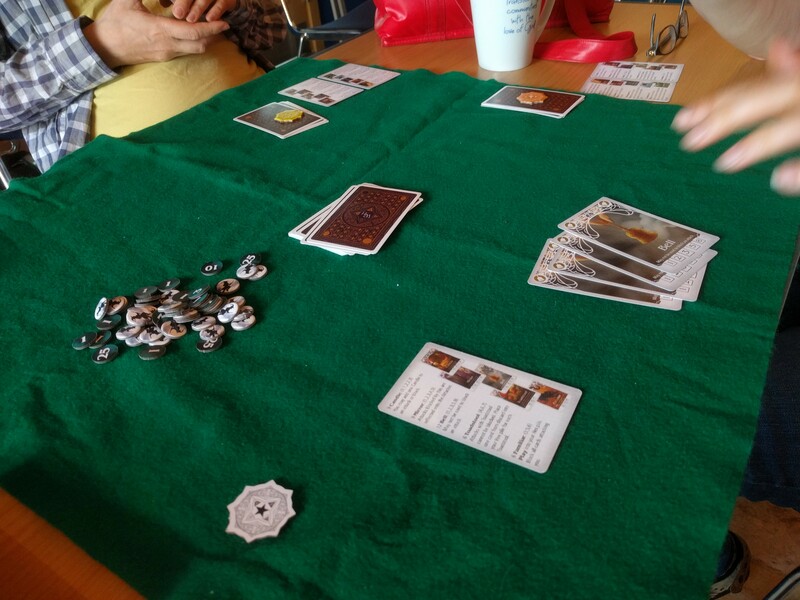 Still had a good time, though. 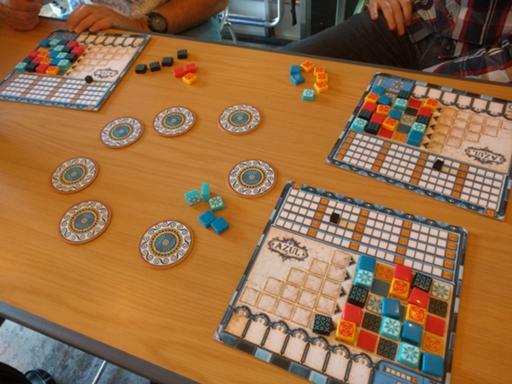 [Buy Azul at Amazon] [Buy Flamme Rouge at Amazon] [Buy Xenon Profiteer at Amazon] [Buy Army of Frogs at Amazon] [Buy Parade at Amazon] [Buy Witching Hour at Amazon] and help support the blog.